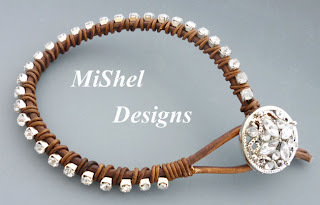 MiShel Designs: It's Wrapped, Stacked and Layered Time Baby!! It's Wrapped, Stacked and Layered Time Baby!! 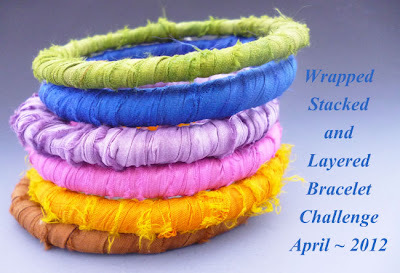 One of the rules of the challenge was that you had to have at least three bracelets, two of which needed to be made by you, and wrap, stack or layer them and take some photos. They could be any color, any size, shape, style, etc. that you wanted and the idea (and fun) was to be creative and let your imagination play! 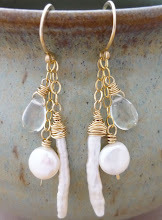 and I had tons of fun making them, too! 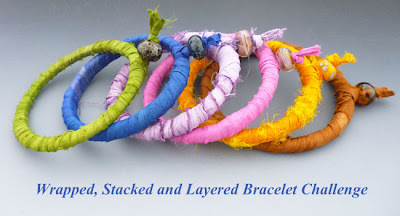 I wear my bracelets 'wrapped and stacked' on a normal basis. It was a bit harder to get photos than usual. I'm not used to taking pictures of my own wrist! with some tips on wearing them! Now, go get your eyes filled with tons more arm candy by clicking through all the participants listed below in the Wrapped, Stacked and Layered Bracelet Challenge - you're gonna have so much fun and be so inspired!! 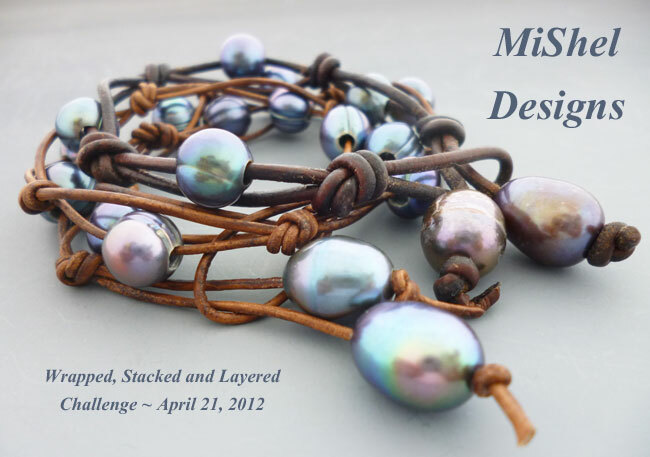 Thanks so much to Tracy for hosting this lovely bracelet challenge - it's so much fun!! Barbie joined in the fun today as well! 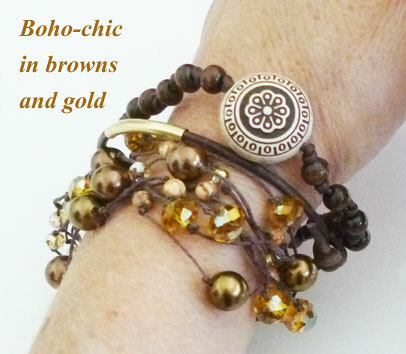 Peace, Love and Wrapped, Stacked and Layered Arm Candy Baby!! What a wonderful collection of bangles and bracelets, I can tell you had fun! I think my favorite is the boho browns. 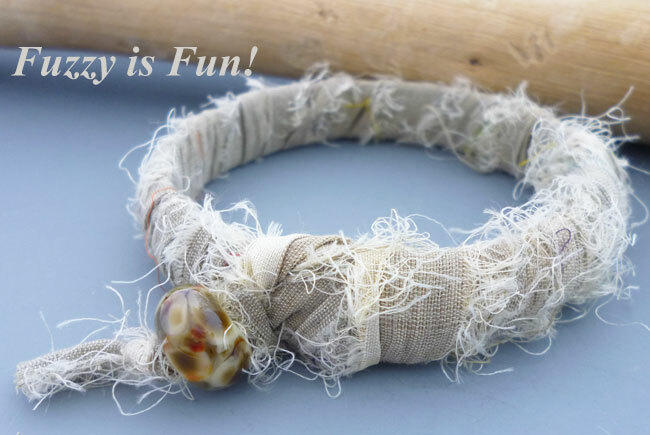 I am really liking all the textile wrapped bracelets today...I am going off to play with mine now that I have been so inspired!! ALl of them are so unique and beautiful, and very very inspiring! obviously Barbies is my favorite!! Teehee!! How cute is that?!?!!? 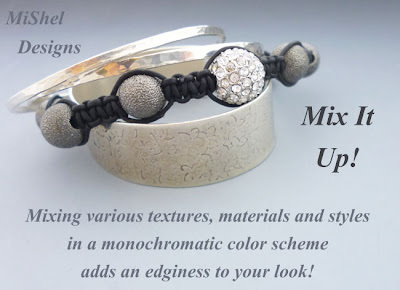 Gorgeous combinations! you have one for every mood one might have! love it! Obviously having fun is the bottom line...the colours look very nice in the stack and are very carefully chosen in style. 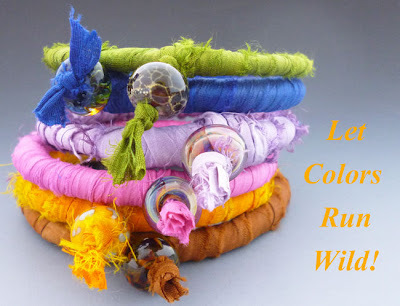 LOve those fabric bangles the most - great texture and color! 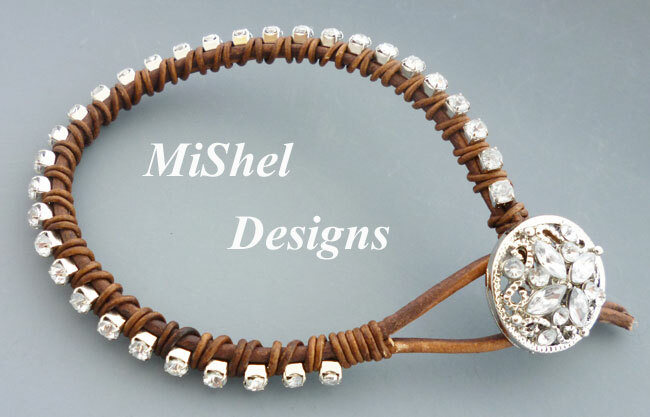 Oh, Shel, you've outdone yourself with this gallery of gorgeous bracelets. They are all a showcase of your skill and talent. Thanks so much for the opportunity to see them. Oh my are those large holed pearls???? Gorgeous stuff!!! ,,,,and Barbie is Always on trend!!! I was going to say the turq & pearl combo was my fave, but then I saw Barbie.... so funny! Your stacks are GREAT! I really like the looks of stacked bracelets (and layered necklaces too for that matter) but never seem to pull it off as often as I'd wish. I think I just get lazy. Anyway, your examples and tips are wonderful. Thank you! Hi Shel. Great post and the tips are perfect and so true. Love your leather and pearls and the silk bangles they are really pretty colors. I think the fuzzy bangle takes the cake for me. Really great use of the fabric. Thanks for playing along and sharing! 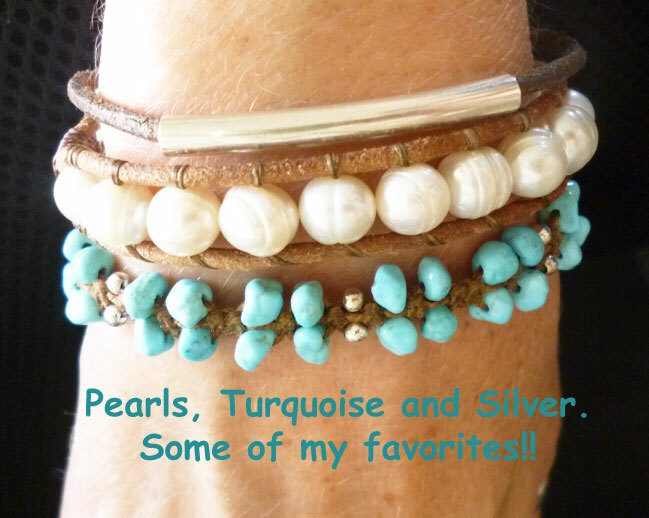 The turquoise and silver -- hand 'em over! You totally win the hop! I love your Barbie bracelet. :) Your stacks are all fabulous, but I think I like the multi color stack the best. Thank you for all the wonderful tips. WOW, love the colorful ones with the lampwork beads and the last photo is an incredible piece, but I must say Barbie's bracelet is cute and clever. Love them all, my favorite are the silk wrapped ones. 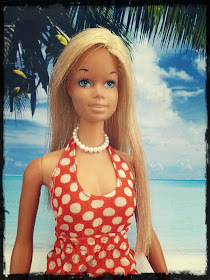 Barbie is always the fashionista! I'm real fond of that silver cuff I see! You could put ANYTHING with that and look terrific! 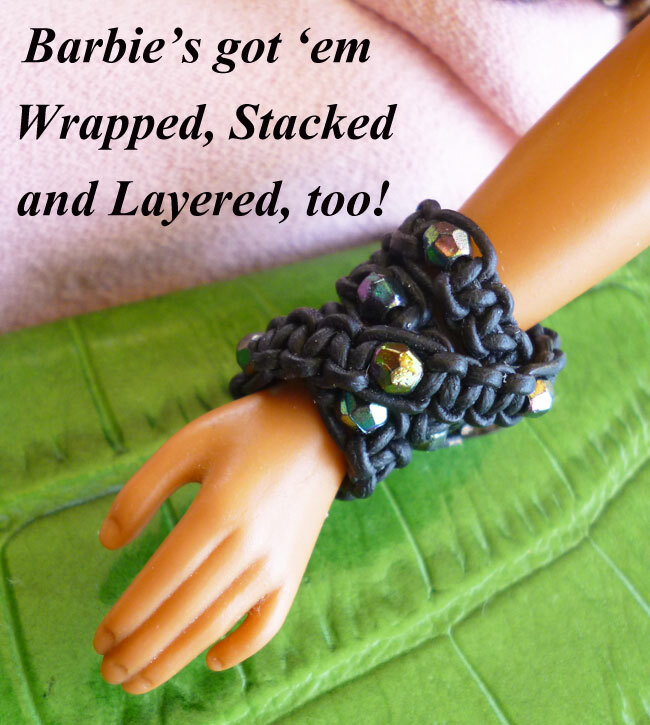 You and Barbie really got your bracelet thang going on. WoW! I have no other words. What fun and inspiration to see so many stack combos. All wonderful. 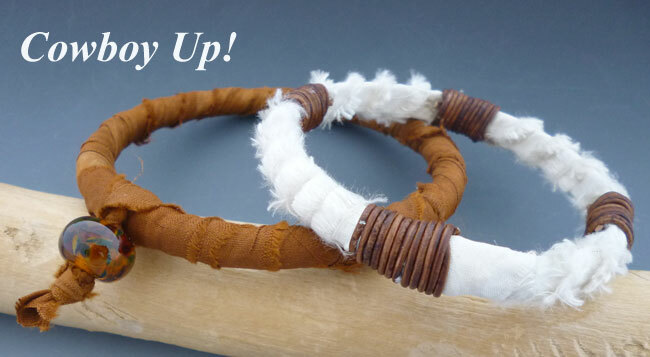 One of my favs is the very first one with the raku like beads and leather. What great collections! I think the silk wrapped ones are my favourites, purely for the colours. 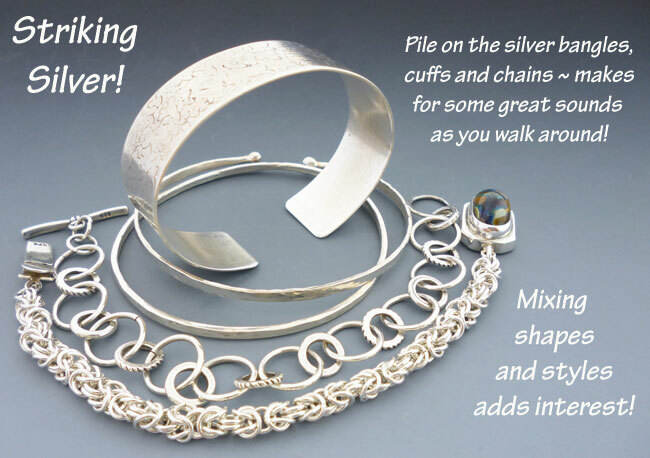 I think the dark grey spring we've been having has got to me - usually I'd go for silver! How could one pick a favorite ... all of your work is so beautiful! 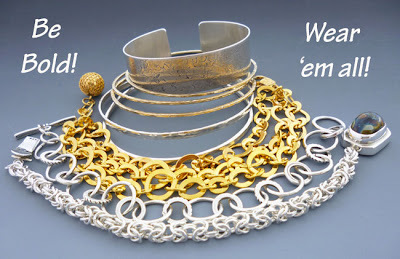 First I thought the tur., pearls, and silver was my fav, but then I came to the browns and golds and loved that one too!! And, Barbie ... how much fun is that?? I just love her wrapped bracelet, necklace and belt!! Did you make her purse too?? 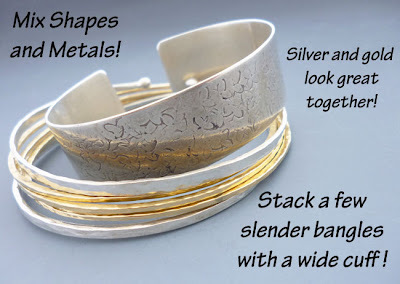 Shel, what lovely stacks you've made here! I have to say that the combination of pearls, turquoise and leather though is just yummy and gorgeous! 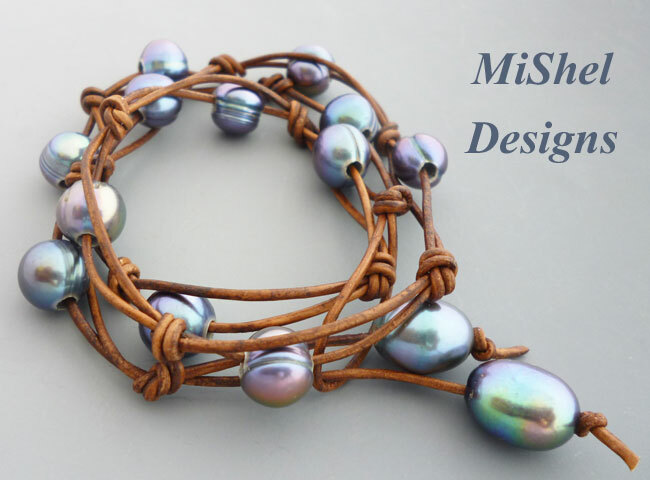 pearls + leather = FANTASTIC! my favorite by far! What a creative collection! Can't take my eyes off that pearl and leather bracelet though -- just beautiful! I really love your clean elegant look. 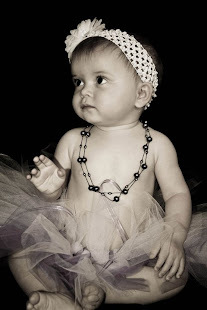 I can see how you'd be drawn to pearls, I am too! Each one of stacks is beautiful. ps -I used to live in Goodyear and most of my family is still in the East Valley. I miss this time of year the most. All your designs are beautiful but my favorite is the large hole pearls with knotted leather. Very cool and elegant! I think your bracelets are all gorgeous! 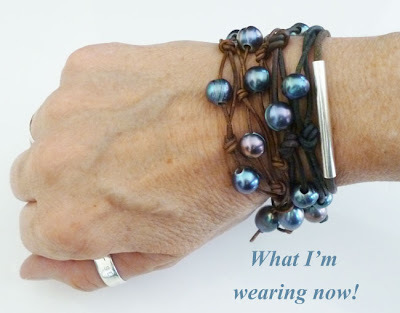 Love the pearl and leather wrap bracelets and the sil wrapped bangles especially! Thanks for the lovely comments left on my blog. I love your stacks as well. 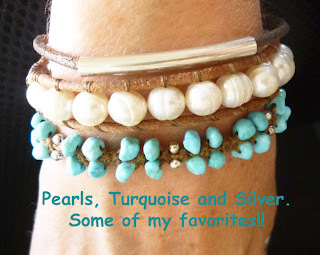 Cowboy up is really great as is the pearls,turquoise and silver. I really love your style. Can you believe I'm just now getting to the bottom of the list for this challenge? 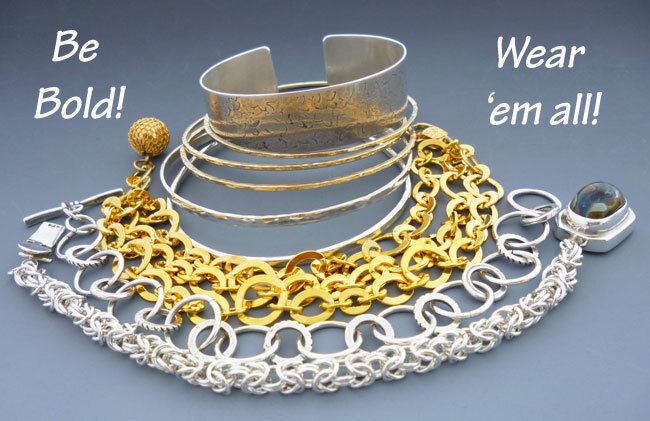 I love all your bangles, especially the silver one. And the one for Barbie is darling. Hey, she's got to accessorize too!